In this section you will find the list of some of the musical works in which I participated as either a writer, producer, in direction or in these re-editions or as collaborator. Proyecto A was a cult album, surrounded by some legend and originally released in 1971 by RCA / Victor. The author, Frank Dubé was anxious that from the tone scales created a concept album nearby to progressive rock. One day, Guerssen friends commented to me to push through a reissue of this work with a folder luxury with all kinds of details (photos, poster, text, letters). 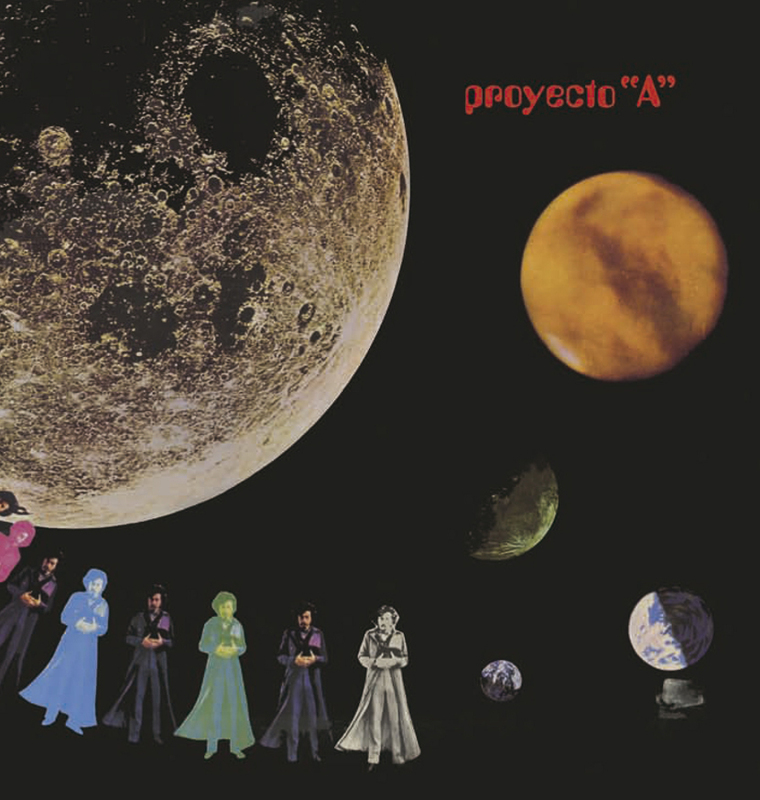 In this reissue included Proyeto B, unpublished until then, which was a continuation of Proyecto A. Interestingly session musicians were the mythical band Iceberg, but were not Iceberg group. They were a members of the group accompanying Tony Ronald. Manel Joseph is essential for understanding the development of popular music in Spain. Among others he has worked and been witness to the work of artists like Jaume Sisa, Pau Riba, Maria del Mar Bonet, Julia Leon, Gato Perez and Joan Manuel Serrat. However, his most famous aspect is the leader of the orchestra Plateria. One day I discovered he wrote a very personal and nothing sparse style. So I saw the opportunity, I proposed together in a book about his experiences over 50 years of musical career. Besides coordinating, suggest topics, adjust the material and participate in the editing, I wrote the foreword. Kiko Mora of the University of Alicante contacted to me to request for a project collaboration with writers, professors and experts related of music by to shape a book where the history of rock in Spain and its relationship with industry would review, the scene and the media. Kiko commissioned me to write the chapter on the development of rock in Catalonia considering the above guidelines. The Manolo Bolao Quartet edition responds to the necessity to put our jazz artists in the place they deserve, rock and songwriters who seem to have been forgotten. It is a matter to give them visibility and highlight its importance and value. For years I had in my mind the idea to carry out a project of this category, where the product was made of a special and unique way, a different bet from normal cd consumption. So it is published on vinyl, with an excellent booklet with unpublished material and where gender specialists collaborate. In addition, you can download the audio in mp3 and free by using a code that is inside the folder. And talking about Bolao, Manolo was an indispensable jazz guitarist and pioneer in our country who for various reasons had never developed a solo career. In 1984 Emili Baleriola had the bright idea of taking it to the studio to give birth to this record. The result is a record of authentic beauty, where the master Bolao's style shines above all, with musicians who are at his service without losing his personality, showing that this is an historical and lofty work. Between Zeleste-Edigsa seal editions I found a curious reference that the time had passed very unnoticed because of the fame and prestige they had taken other names like Jaume Sisa or Gato Pérez. However, this was a very different proposal, elegant, serious and very personal. This was about the album that had made Jordi Farràs, alter ego of the Voss del Trópico. Curiously, the only one of his works he signed with his real name. The musical direction of this Lp was conducted by Jordi Sabates and among the participants were musicians like Carles Benavent, Joan Albert Amargós or Salvador Font, among others. This was a beautiful and melancholy disc and up to a point magic that needed to be recovered and I'm especially happy by the recovery of the music and the work of the attached booklet. But mostly for the discovery of a unique and unrepeatable artist. This double compilation was a titanic work in all respects. It was collected in the most authentic possible way to give the significance to the progressive rock movement in Barcelona and its impact. So I had to leave all their musicians and try to get a representative subject from each group or performer. In most cases the selection was chosen and agreed with the help of some members of the original group, which adds value to the work. It also got the novelty that for the first time we added a song by Crac (Curiously by Crac, never published before, was totally unpublished). Another of the issues was the scrupulous work for the preparation of the booklet. On the one hand picked up a summary of the history of the movement, record references, and an explanation of why each song was chosen, the recovery of credits, in many cases did not appear or were incorrect in the original records, and an extensive collection of images, some of them quite unique, such as those belonging to the recording session of Dioptria. The recovery of this work was very special for me and I must say that also a great passion. Firsth, it was the first album in the world made entirely with progressive and jazz versions of Beatles songs completely instrumental, with the addition that was made by national musicians. Directed by Lucky Guri and support of the German saxophonist Peter Rohr and the very unknown Carles Benavent, and Max Sunyer and Salvador Font. The appearance of the album coincided with the litigation in the courts by the Beatles and the permission was denied when they had spent only two weeks of its distribution, which forced him to withdraw from the market. So I was really facing a hard unprecedented job in all respects and that was a treasure. Once I saw things clearly I had to recover and re-edited to add that Lucky Guri had just come out of serious health problems, which was also an incentive to reissue the work and pay him a small homage. I remember when I went to see him he was pleased and said with tears in his eyes that made him so excited. During our chats he told me curious details of the recording, and the toilet chain that joined the piano strings to get the peculiar sound of version of "Strawberry Fields Forever." It was also a way to remember the titanic work done by the legendary Angel Fabregas of Als 4 Vents. I remember Joana, his widow didn’t know the existence of this album and it was very funny for her. You should also add that enthusiasm always showed by Joan-Carles Doval, the director of Picap label. Lets get smashed by Màquina! The publication of this work had two clear objectives. First, it shows clearly different stages that had been Màquina!, probably one of the most legendary bands of our rock, but also the most unstable and more artist change. On one side there was the first Màquina!, The tandem of Enric Herrera and Jordi Batiste and the other the second machine! When Enric Herrera again reformed the group with the contribution of metals and the trio of crack. On average they had used more instrumentalists. So this work was built Màquina! from beginning to end, with all its variations and changes and give an idea of what the total group was. Also included were two issues where you could almost hear the unedited voice of the short-lived singing Arta Abelle, and improvisation with Geeno Washington at the time when the singer was Teddy Ruster. Also added that many of the issues that were part of the original singles have never been released on CD or remastering, making the work more attractive and placed first in digital sound. To achieve this there was much to do and information support of Enric Herrera and especially the work done by Emili Baleriola taking charge of the remastering, respecting the original sound of vinyl. The recovery of the credits that appear on the CD was also a long task but the end was completed successfully. Rock on the rocks Guillem París, Carles Benavent, Emili Baleriola, Enric Herrera, Manel Joseph and Salvador Font. Rock on the rocks was a rarity in the early seventies. It was a job he had done by Àngel Fàbregas. There hadn’texisted a vynil rock & roll version sung entirely in Spanish and had entrusted him to play in the clubs. The result was an album that in its day was published without credit or information on performers and passed without pain or glory. However, this work had been recorded by Guillem Paris of Pan & Regaliz, Manel Joseph of Dos + Un and Emili Baleriola, Carles Benavent, Salvador Font and Enric Herrera of Màquina!. In some ways symbolizing the end of an era, the progressive rock in Barcelona and had never been released on CD or not given justice to the performance. Also, while I was preparing it the pictures of the recording session appeared that brought even more to the work organization and incorporated in to the booklet. Emili Baleriola was responsable for the remastering, which gave more value to this re-edition. This double compilation meant my first collaboration with Picap. 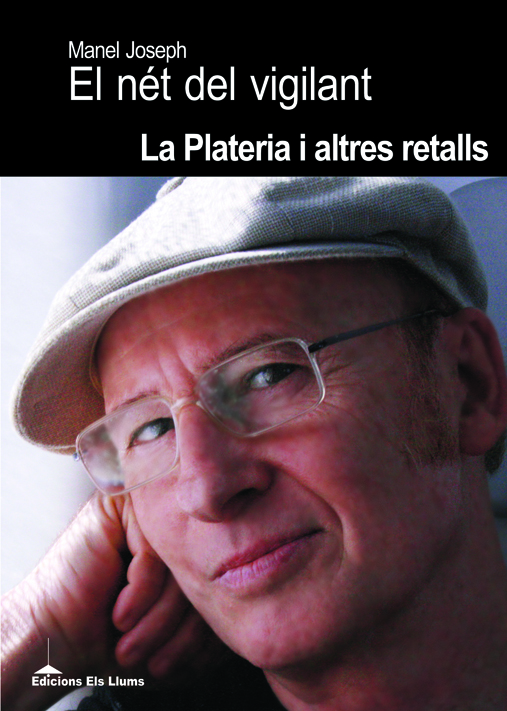 With Joan-Carles Doval we knew some interviews he had done, and just after editing Zeleste i la música laietana, he provide the infrastructure to carry out the dual achievement of a compilation of the whole movement. It was an interesting job and a way of presenting a story that until now had been completely forgotten. However, it was of paramount importance. In fact, I did not understand his forgetfulness. So I set to work and in most cases I contacted one of the original group members to choose the topic, explain why and show an accurate picture of everything. He was also very important to the achievement of a comprehensive booklet with pictures and credits. Incidentally, in the performance of Oriol Tramvia, there was a mistake and naming unincorrect a backing band. At Bèstia! was accompanied by Alfons Encinas (guitar), Sebastià Silvestre (drums), Carles Pérez (electric piano) and Salvador Pérez (bass). Forfuture reprints it is now corrected. Esqueixada Sniff, the band's legendary guitarist Josep Maria Paris had released two LPs. I had the idea to collect them as a double album, as the work of this group, especially the live album, was interesting but unknown in the world of music-label Zeleste Edigsa. Miquel Farrero, who was the other guitarist of Esqueixada Sniff was essential to carry this work to fruition. He helped me to reconstruct the history and their stories and were reflected in the booklet. Futhermore, there were two unreleased tracks from the last stage in which Esqueixada Sniff had turned to the music sung in an attempt to reach the public. In fact, it was a single that because of different circumstances did not see the light and which was song by deceased Ia Clua. So that was an added bonus and totally unknown to the two LPs that completed the work around Esqueixada Sniff. I was very excited about that because Jordi Sabatés called me to write the text of two of his works that were reissued. When a musicien an a person you admire calls to you to collaborate with him it doesn’t happend every day. Moreover, these two works were quite special. On the one hand, Portraits-Solituts was the culmination of the art of Jordi Sabatés piano, while somehow enclosed a change of phase in his career. And what better way to do that by paying tribute to those who had influenced the way of musical portraits done in the solitude of the piano. However, El secret de la criolla was a very modern camera work and with many outstanding characteristics. In addition to writing texts I was responsible for coordinating the reissue and the new booklet we included. For example, in El secret de la Criolla, we put a picture of Jordi Sabatés. Drawing is another facet of Sabatés little known but also serves to complement his work. In Portraits -Solituts we are honored to include pictures and explanation of how he carried out the work and all its peculiarities. With Emili Baleriola brought us together from the start a friendship that still lasts today. In fact, both one and the other we have always given a helping hand when necessary. In the case of Jazz-rock trio was a very interesting work, as Emili was determined to record a set of issues between themselves and a versions of classic pieces in trio format with guitar as the main protagonist. It seemed a more interesting job with the sound that was both personal involved in the entire album. Lately there are many jazz virtuos guitarists who are missing that guitar wich connects to a wide audience and that can please everyone. In this regard, jazz-rock trio met these requirements and, in fact, I could see the enthusiasm with which it was received directly by the public. For the edition of the album, apart from being present at the recording session and helping in some technical repertoire, I was responsible for the preparation of the book and subsequent materializacion. Participation in this work was very emotional as he gave the chance at that time had just arrived from the Festival del Cante de las Minas and a various jobs that I'd been envolving the roots of Flamenco. Although it was the guitarist José Gabriel Calderon who called me to ask for help in photo editing and concept of the album, as well as having and input in the repertoire. I remember with affection when they stopped the rehearsals to go to cut ham and enjoy the gratitude of Mediterranean life. The repertoire of the CD was created based on siguiriyas, soleás, bulerías, alegrías, Malagueñas and even a version of Manuel Alejandro.